When it comes to extreme weather such as hail, lightning storms, torrential rain, and flooding, most people’s first thought will be protecting their home or car. However, to avoid a costly air conditioner replacement it is also important to prepare your house for extreme weather by protecting your air conditioning unit. This is particularly important when living in the tropical Queensland weather where you can go from a 35+ degree day to torrential rain and thunderstorms in a matter of hours. Although most air conditioners are built tough, and designed to withstand some adverse weather conditions, extreme weather can cause significant damage to your air conditioning unit resulting in costly repairs. Harsh weather conditions may also cause unnoticeable damage that will reduce the efficiency of your air conditioner and drive up your energy bills, or they may even result in a complete system breakdown leading to a costly air conditioner replacement. The first thing you should do when preparing your air conditioner for a storm is turn off your air conditioner using the thermostat, and then cut the power to the circuit breaker. This will reduce the risk of a power surge from lightning strikes or damaged transformers causing damage to your AC. Additionally, when the power comes back on after a power outage it is best to have your air conditioner turned off at the circuit board for at least five minutes as power fluctuations may damage your air conditioner. You may also want to consider having a surge protector installed for your air conditioner at the circuit breaker as this will not only protect your air conditioner in adverse weather, it will also protect from everyday power surges that can cause damage to your air conditioner over time. Additionally, if you are away from home at the time a storm hits you can rest assured that your air conditioner has been left well protected. 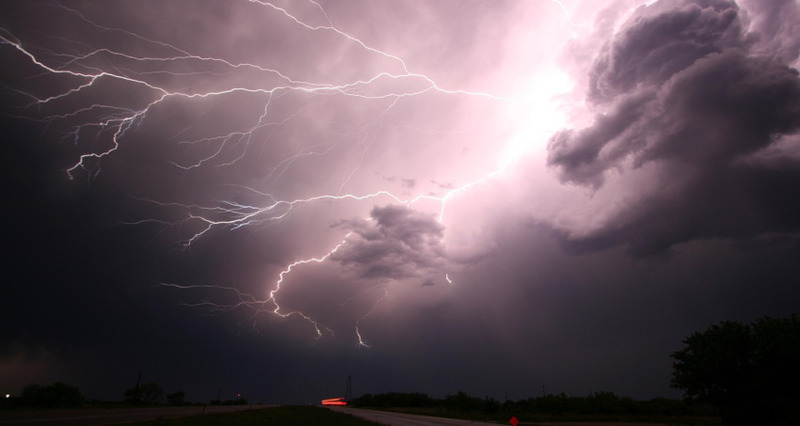 Lightning strikes are one of the most damaging weather conditions for air conditioners. This is because a single, well-placed lightning strike can write off an air conditioning unit in a split second. Whether your outdoor air conditioning unit is installed on the roof, mounted to a wall, or even on the ground, all outdoor units are susceptible to lightning strikes. 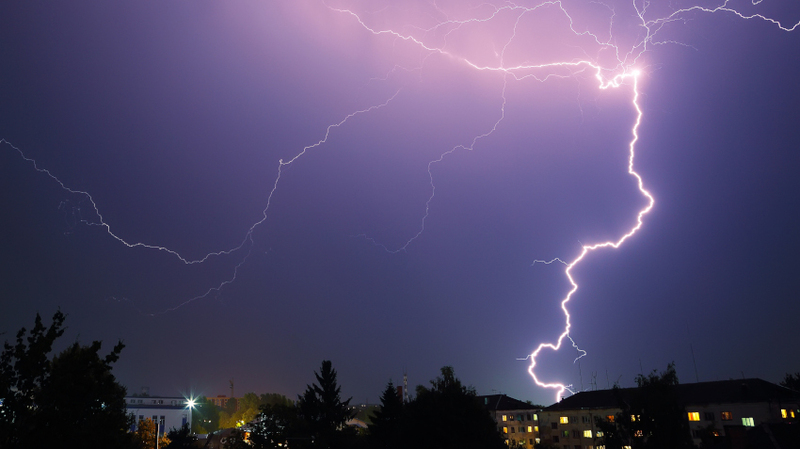 Although it is impossible to wholly protect your air conditioner from a lightning strike, there are some precautions that can be taken to reduce the risk of damage during a thunderstorm. One way to protect you air conditioner from a lightning strike is to install an industrial-strength surge protector as mentioned above. In fact, many surge protectors are so effective that they come with a guarantee where manufacturers promise to replace any appliance damaged by means of a power surge while the surge protector is installed. Another way to prepare your air conditioner for adverse weather is to have the electrical system professionally assessed to ensure that it is adequately protected in the event of a power surge. 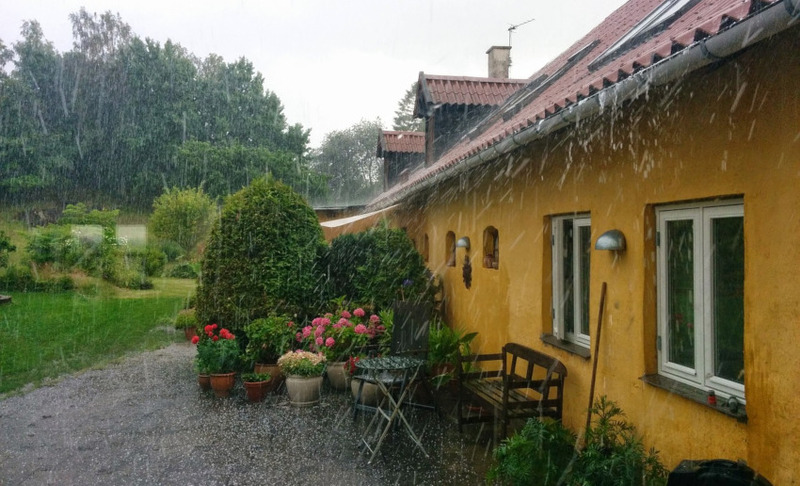 The location of your air conditioner is important in protecting your air conditioner from extreme weather conditions such as torrential rains and floods. An outdoor air conditioner is generally installed on a solid concrete base. However, it can be beneficial to install your air conditioner on a slightly higher base or brackets to protect it from flood water. If you’re not sure about your area, ask your local air conditioner technician what the best height for the base would be given your location. Additionally, when choosing the location of your outdoor air conditioner ensure that it is installed away from any downspouts. The ground near the unit should also be sloped to for adequate drainage to prevent water from pooling around the air conditioner when it rains. If you find that your air conditioner is leaking water after a storm it could be because the drip pan in the unit has been overfilled and may not be draining fast enough. This can lead to water damage to the walls and surrounding property. To help prevent this, ensure that your air conditioner is regularly serviced as your AC technician will ensure that there is enough room in the drip pan to prevent leakages. Additionally, they will ensure that the pumping system is sufficient for clearing any water that may be collected. It is also important to trim the branches of any overhanging trees near your AC before a rain storm to prevent damaged branches from falling on the unit. This will also reduce the risk of leaves and twigs getting into the unit and causing blockages that may damage to air conditioner and potentially increase cleaning and maintenance. Hail is another extreme weather condition that can cause severe damage to an outdoor air conditioning unit. The easiest way to protect your air conditioner against hail is by building or installing an air conditioner cover. You can build an air conditioner cover using spare planks of wood or there are also premade air conditioners available for purchase at most hardware stores. However, ensure that the air conditioner cover allows sufficient air flow. It is also important to never cover your air conditioning unit with plastic as this can trap in moisture causing corrosion and damage to the system. 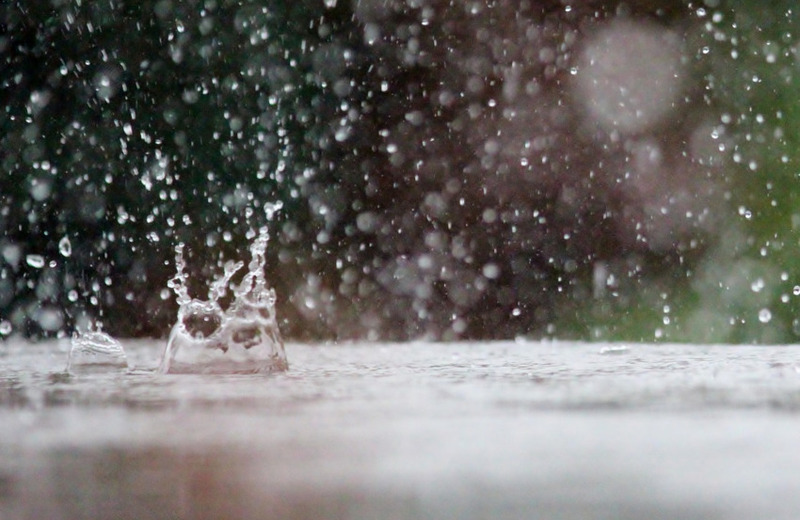 In summary, when adverse weather is forecast it is essential to properly prepare your air conditioning unit to reduce the risk of damage and costly repairs, or even a complete system breakdown. Whether you need an air conditioner replacement, quality 24/7 air conditioning repairs, or just a scheduled service for your AC unit, Advanced Climate Solutions has got you covered. 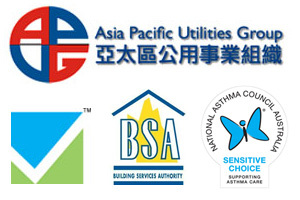 Call us today on 07 3206 3542 for all of your Brisbane air conditioning needs.